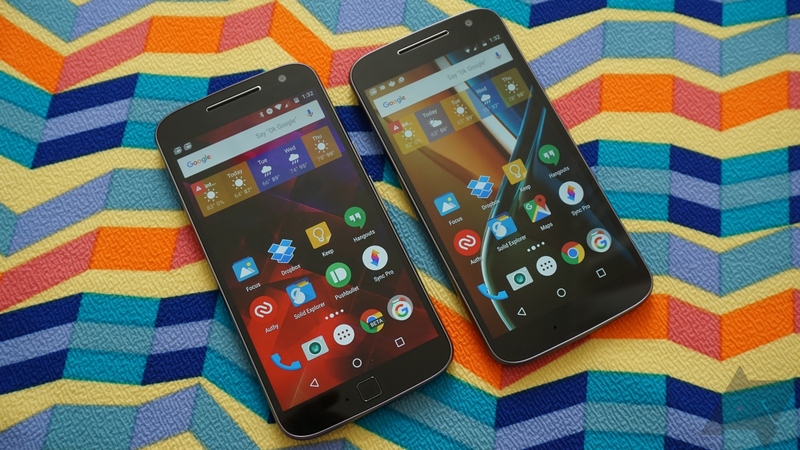 Motorola's recent high-end phones have been a bit disappointing, but the budget-friendly Moto G4 is a solid device thanks to its clean software, unlocked support for GSM and CDMA, and long battery life. Even when it's not on sale, this phone is a good deal. You don't even have to pay full price today, though. Amazon is selling all the Moto G4 and G4 Plus variants for as much as $70 off the usual price. 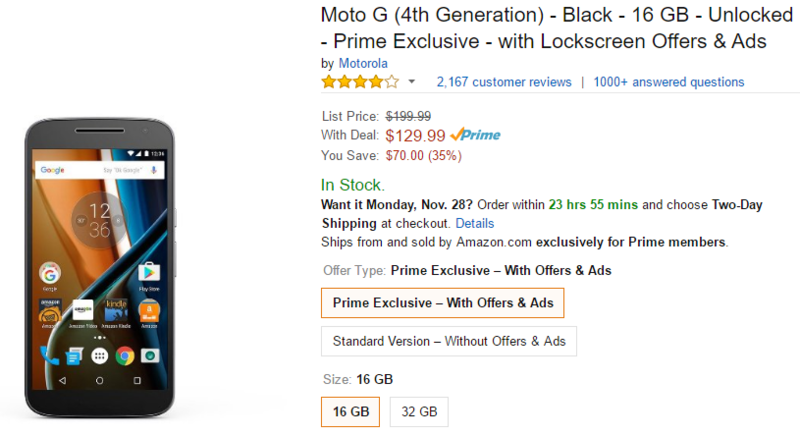 The cheapest Moto G4 you can get from Amazon is the "with offers" variant. That means you get Amazon's lock screen ads, and there are more Amazon apps pre-loaded. The 16GB version of that phone is $129.99, and $10 more gets you 32GB of storage. Those would usually be $150 and $180. The regular Moto G4 without ads is $179.99 for 16GB and $174.99 for 32GB—yes, the 32GB is cheaper right now. Regular prices are $200 and $230. The G4 Plus adds a fingerprint sensor, a better camera, and higher storage options. This phone does not come in a "with offers" version. The 32GB/2GB RAM G4 Plus is on sale for $199.99 and the 64GB/4GB is $229.99. Those are usually $250 and $300 phones. If you need a good cheap phone (or just a spare phone) these are good ones to pick up.